I couldn't count the amount of cookery books I own - I've tried occasionally, but then I find another stash somewhere else in the house (I have shelves and bookcases in five different areas!) and I've forgotten how many I'd counted before. I can recommend a few really excellent Seafood Cookery books. You will be able to get them on Amazon, just click on the links and you will arrive at the right place. Some of them are as little as a few cents, you'll just be paying for shipping. Here you will find older books - my favourite seafood recipe books are hard to find now - I've owned them for years - but some people are wanting to get rid of them. The Amazon links will open in a new window so you can browse and return here to look at another selection. If you buy via these links, I will earn a small percentage from the sale which will not affect the amount you pay. You are not obliged to buy through these links, but if you do, it goes towards helping me with the expenses of my site. 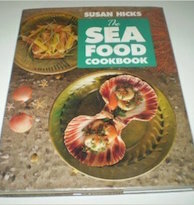 Susan Hicks - two books - The Fish Course and The Seafish Cookbook. Both excellent sources of information and ideas. I couldn't choose between them. There is very little overlap, even considering they're written by the same person. They are based on a couple of television series she did in the 1980s for BBC. I followed both series avidly and bought the books as soon as I could. Floyd on Fish - Keith Floyd made me laugh - I loved his humour and his presentation. He is sadly no longer with us, having died quite young in 2009. He led a very colorful life - he was another very popular television presenter and his programmes were hilarious as well as giving top rate cookery information. You never knew when he was going to make a mistake and then he and the film crew would burst into laughter. His love of food came through and the Fish book he wrote was no exception to his fabulous presentation. 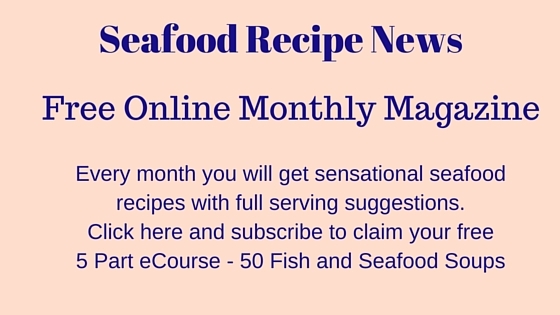 Watch this video clip from his series where he shows you how to make Moules Mariniere. 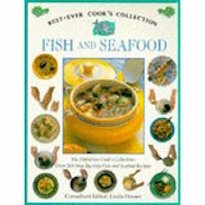 An excellent book is The Best Ever Cook's Collection Fish and Seafood. The Consultant Editor is Linda Doeser. This book has 200 illustrated step by step recipes. It is truly inspirational as the pictures just make your mouth water. It's a very valuable addition to your collection. I would find it hard to recommend just one to be honest, so if you can get them all and they're reasonably priced, then do so. 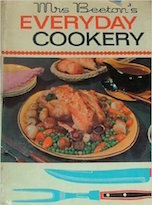 For general recipes, I find Mrs Beeton's Everyday Cooking hard to beat - my nan bought me mine as a Christmas present in 1977 - it's battered and worn, but I have referred to it so often over the years. It is so comprehensive, I couldn't begin to describe the part it's played in my development as a cook, giving me a solid grounding of basic recipes that I experiment with. 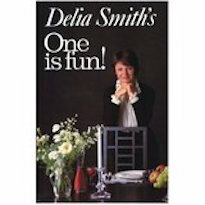 Another great cookery writer is Delia Smith - I have lots of her books. Her writing style is so easy to follow. 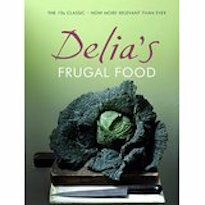 Frugal Food is a good one - it's aim is to show that good food needn't be expensive. How to Cheat at Cooking gives ways of serving packets, frozen, prepared and tinned food in a way that makes them palatable - if nothing else, it's a good laugh and will give you ideas for cutting corners when time's shor. Complete Cookery Course is just what it says - a must have for me over the years and ranks alongside Mrs Beeton as one of my constants. One is Fun is brilliant - it's a 'comforting' read if you understand what I'm saying - almost like bedtime reading and the recipes can always be multiplied up to serve more. In fact, if you live alone and are cooking for only one, you feel as though you have a companion in this book - there is such a warmth from it - she becomes your friend. This video is for a Smoked Haddock Chowder from her One is Fun series. She is just so friendly and she writes in the same way. What are you favorite cookery books - who are your favorite writers?